After a closely-watched midterm race, Republican incumbent Ted Cruz will retain his position as U.S. Senator for the state of Texas. Cruz received a total of 4,087,269 votes or 51.41 percent. Cruz defeated his Democratic opponent U.S. Representative Beto O’Rourke by 288,025 votes. O’Rourke received 47.81 percent of the vote or 3,800,411 votes. Libertarian candidate Neal M. Dikeman finished the election season with 60,128 votes which was about 0.77 of 1 percent. Cruz said Texas saw something they have not seen before in this election. 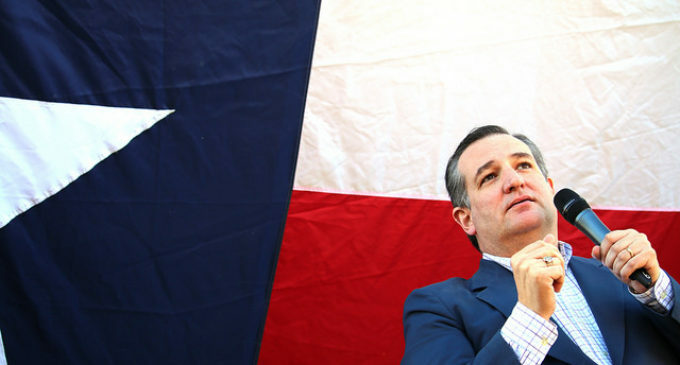 Cruz added values such as “securing the border and keeping [Texas] communities safe and defending the Constitution and the Bill of Rights” to his agenda. During his campaign, O’Rourke visited all 254 counties in Texas and visited Denton County a total of six times. Cruz made his first and only visit to Denton County two days ago with a rally in Bartonville. Cruz’s campaign reportedly raised $40,118,702 and spent $33,896,025, while candidate O’Rourke’s campaign raised $69,099,704 and spent $59,162,350 of these funds. Both races remained well-mannered and tied to the issues for the most part, although there were a few bumps on the campaign trail. Austin data scientist Sean Owen said in a tweet that he received the package for his 88-year-old grandma. “Says it’s a summons from Travis County, but is actually asking for money for @tedcruz,” Owen said. In a different vein, O’Rourke came under public scrutiny when records of his two arrests resurfaced, one for hopping a fence at a local university and the other for driving while intoxicated. O’Rourke recounted the incidents on multiple occasions and denounced his actions. After the race was called, O’Rourke addressed the public in his hometown of El Paso.